‘Mystic Rhythm’ strums, pinches and plucks its way from ModeAudio’s sound lab to your speakers, marking our biggest loop and sample pack release ever! Simply jammed to the rafters with the irresistible twang of plucked strings, this electric guitar loops pack contains over 800MB of pure amplified intoxication. The pack’s 20 sets of guitar sounds range from glimmering chords, wailing leads and plucked riffs to muted chugs, slinky picked octaves, shimmering harmonics and so much more. All 93 guitar loops and guitar tail samples are provided in both dry and effected versions. This means you have the flexibility to work instantly with our professionally tweaked and polished sounds, or apply your own amp sims and FX plugins to get things sounding just right. With a strong emphasis on evocative melodic and rhythmic playing, as well as epic, dense processing, this loop library contains as much punch as it does soothing lullaby. 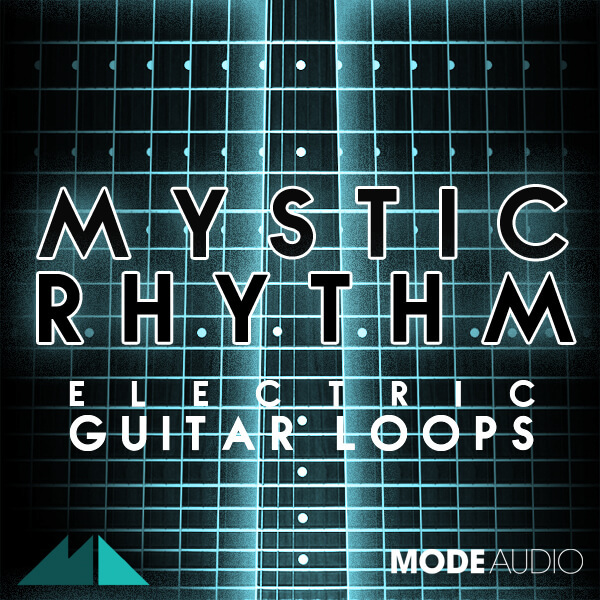 Ranging from 77 to 145Bpm, ‘Mystic Rhythm’ features loops arranged into sets so if you find a sparkling chord progression or gliding lead you like, you’ll also have complementing riffs, muted strums, harmonics, octave plucks and more to play with alongside. As an extra bonus, 20 project files for Ableton, Logic and Reason have also been squeezed in so you can demo the sounds and get working straight after download. Wash your tracks with the soulful combination of pick, string and pickup – unlock the secrets of ‘Mystic Rhythm – Electric Guitar Loops’ now!